At Wheels of Arabia your ride is in safe hands. Our factory trained Technicians are qualified to work on all models of Piaggio Scooters and bikes, Ducati motorcycles and superbikes. We have the latest hi-tech equipment in our workshops, so we will get your bike serviced & repaired, and get you back on the road as quickly & efficiently as possible. Our team is highly committed to serve every customers and gives a full care service once you stepped in our showroom. Wheels of Arabia carries the best scooter and motorcycle brands from Italy, we guarantee our shop in delivering exeptional value and reliability. With genuine parts being shifted direct from Ducati and Piggio Italy, rest assured that we’ve got the parts you need for your bike. We carry the full range of genuine Parts & Accessories. Please contact us for more details about Parts & Service available at Wheels of Arabia. What is Ecowash? 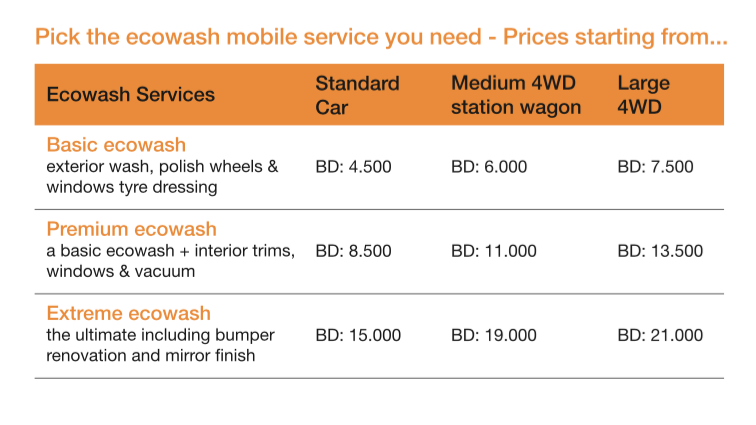 – a waterless carwash and polish. 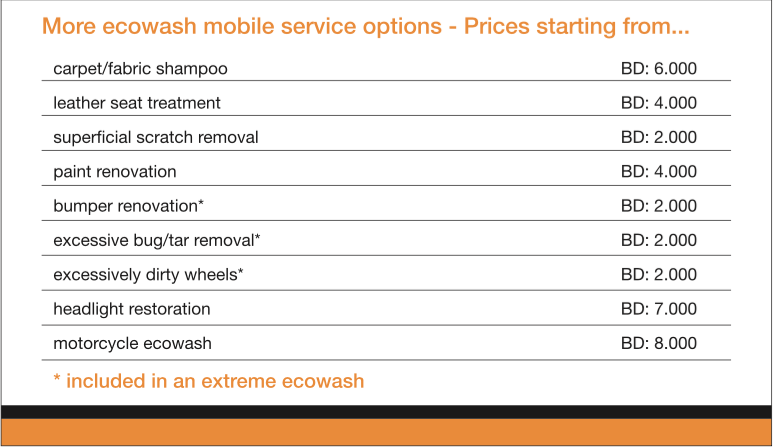 The ecowash mobile service doesn’t require water. We use a unique 2-in-1 cleaning and polishing product. It lifts dirt from car without scratch, polishes your paint and leaves a coating that protects it against the nasty effects of the environment. The results is a clean, polishes and protected car… and water saved, for the things that really matter. Book today for priority service when we are in your area.